Nanotechnology (NT) will not only improve the technology for understanding the foundation of matter at the atomic, molecular, and supermolecular levels but will have a profound impact on our economy, quality of life, and education just as much as the information technology (IT) has had in the last three decades. To cope with the new challenges, many academic institutes and industrial companies around the world have invested heavily in pursuing Nano-R&D and Nano-Manufacturing in recent 20 years. Predictably, in the future the demand for high-tech facilities and the corresponding skillful engineers will be strong and inevitable. However, presently there is no university in Asia specifically offers high-tech facility engineering training program for Nano-R&D&M. To facilitate the advancement of Nano-R&D&M, and to meet the potential demand of the engineers, the Civil Engineering Department of National Taiwan University initiated a High-Tech Facility Research Center in fall 2006 and has offered a High-Tech Facility Design course since spring 2007. Integrating education and industry not only enables the NTU to stay ahead of the game in the field of high-tech facility research, and also assists Taiwan to maintain the reputation of green silicon island. The prosperous development of high-tech industries in Taiwan not only enhance the global competitiveness of Taiwan, but actuate the enhancement of other industries to lead Taiwan’s economic development. To sustain the advantage of high-tech economic development and to increase industrial value cooperating with upgrading civil engineering, the main mission of HTFRC is to promote R&D, education and service quality of advanced high-tech facility design. ​Thus, the center will concentrate on pollution control, fab facility design, construction and inspection technology, improvement of pipeline facility and model construction, and the research on interactive simulation connection, green building and green fab facilities. It will improve the purity of clean room and eliminate the interference of the vibrating electromagnetic waves of high performance precision instruments in a short time. On the other hand, the long-term goal will conduct a comprehensive research, teaching, services to support the R&D and manufacture of Taiwan’s technology industry. 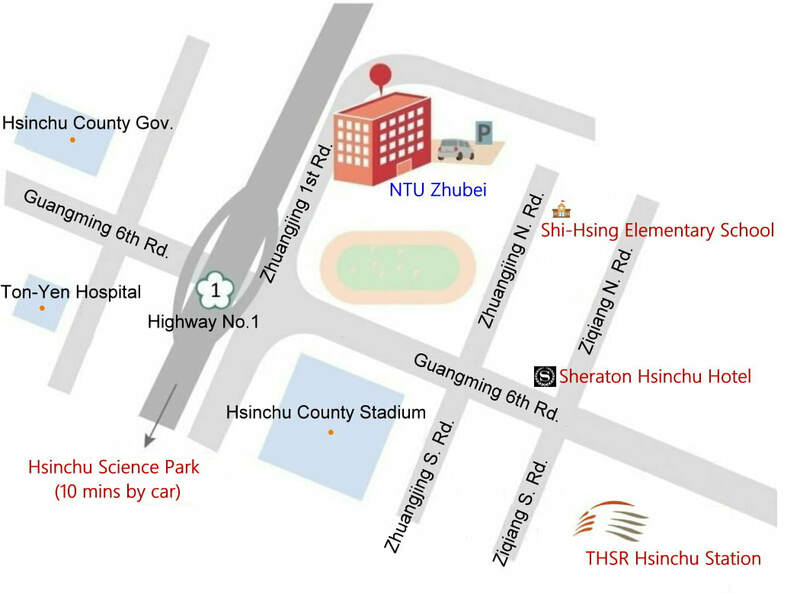 To continuously ensure the economic development advantages of high-tech industries, industrial value heightening, and upgrading civil engineering, the High-Tech Facility Research Center has been established by Department of Civil Engineering, National Taiwan University in fall 2006. The mission of the center is to foster research discovery, educational learning, and services engagement on the facilities needed for advancing high-tech manufacturing and R&D. Therefore, in the initial stage, the focus of the Center will be on the research in the field of contamination control, simulation and modeling, and green building and facility. The short-term goal is to improve the processes of designing, constructing and certifying ultra-pure cleanroom and the facilities needed for housing those vibration-sensitive high-performance microscopes. The long-term goal of the Center is to conduct full-scale research, education, and service in supplementing facilities needed for high-tech manufacturing and R&D. The 1st Center focus on high-tech facility research in Asia has been established in Department of Civil Engineering, National Taiwan University in Fall 2006. The Center functions as a bridge outstretching civil engineering into the high-tech frontier territory. The Center has begun to conduct research projects for supplementing the sustainable development of Taiwan high-tech industry since May 2007. A cleanroom measurement laboratory has been established in the Center since Fall 2007. A laboratory base cleanroom design course has been offered since Spring 2008. A High-Tech Facility Construction Management course has been offered since Fall 2010. With the cleanroom measurement laboratory established and instruments obtained, basic data of environmental controls in cleanroom will be collected for further modeling, simulation, and other scientific and applied research. A distance learning course will be offered through NTU Center for Teaching and Learning Development and will reach out the Taiwan high-tech industry throughout the whole island.